Please provide vector format (.ai .eps .cdr .pdf ). Other file types may require additional design fees. 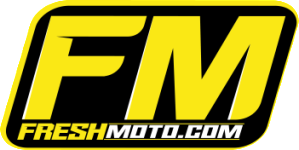 Email freshmoto@yahoo.com for questions regarding logo format. Would you like to see a proof of your artwork? If you select yes, your kit will ship within 2 business days. 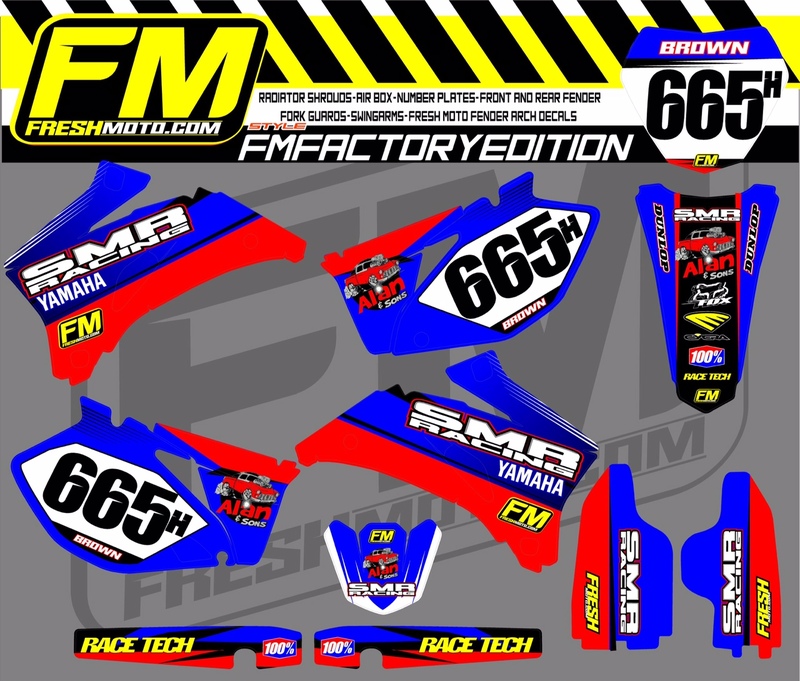 Complete semi custom Fresh Moto graphic kits include radiator shrouds, air box, number plates, front and rear fender, fork guards, swingarms, and Fresh Moto fender arch decals. We’ll even throw in a few mini plates at no extra cost to you. 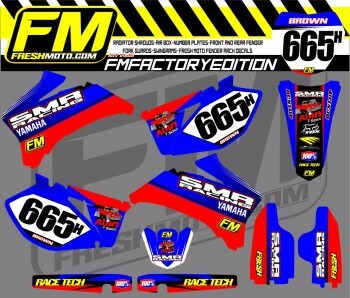 Graphics are printed on our MX Thick Fresh Moto material. 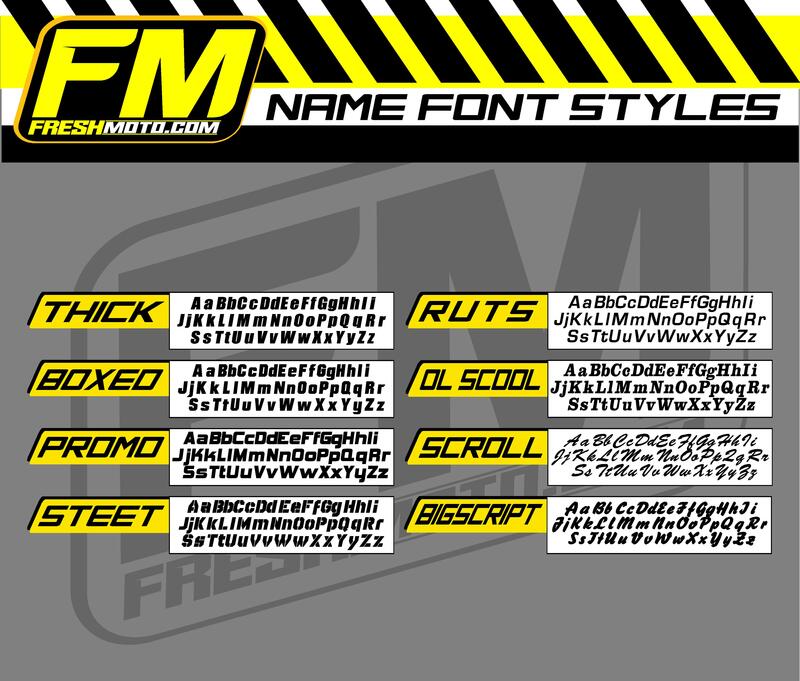 Customize your kit by filling in your choice of logos, color options, and font choices. 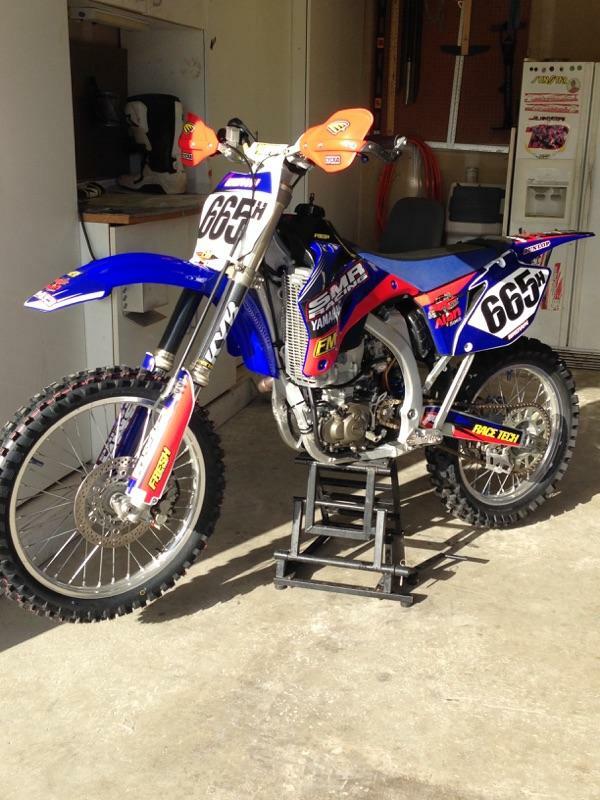 We have hundreds of motocross related logos however, if you want a logo we don’t have, we can create a generic one to fit the design of your graphic kit. 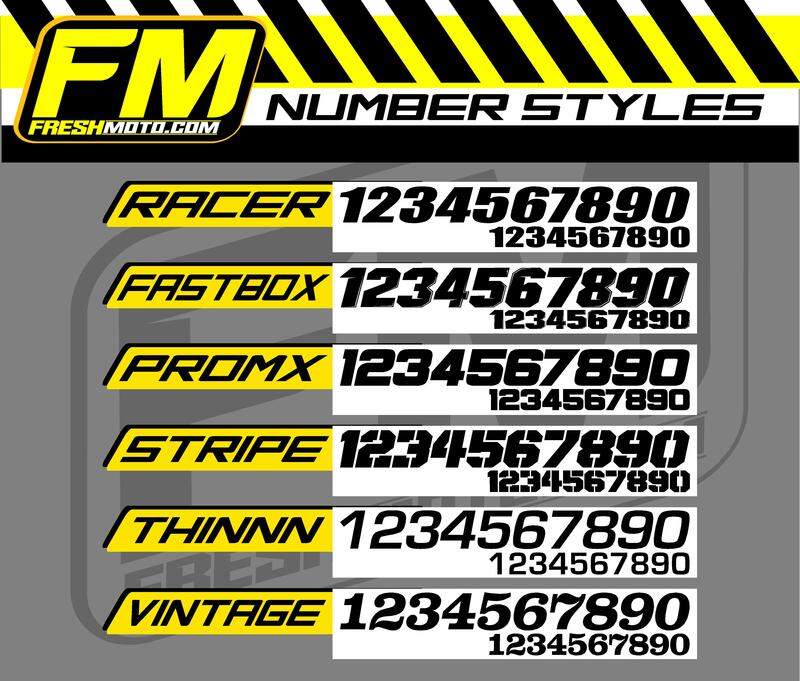 If you have a personal or company logo you’d like on your kit, please email it to us directly at freshmoto@yahoo.com in a vector (.ai, .eps, .pdf) format. If you don’t have your company logo in a vector format, email us for custom logo design and pricing. Please include your order number in all emails. Graphic kits will ship within 5 to 7 business days if no proof is ordered. If you would like to see a proof of your graphic kit before its printed, please select the proof option below. Proof revisions will be sent within 2 to 3 business days. Once the proof has been approved, we will print and ship your order within 5-7 business days. 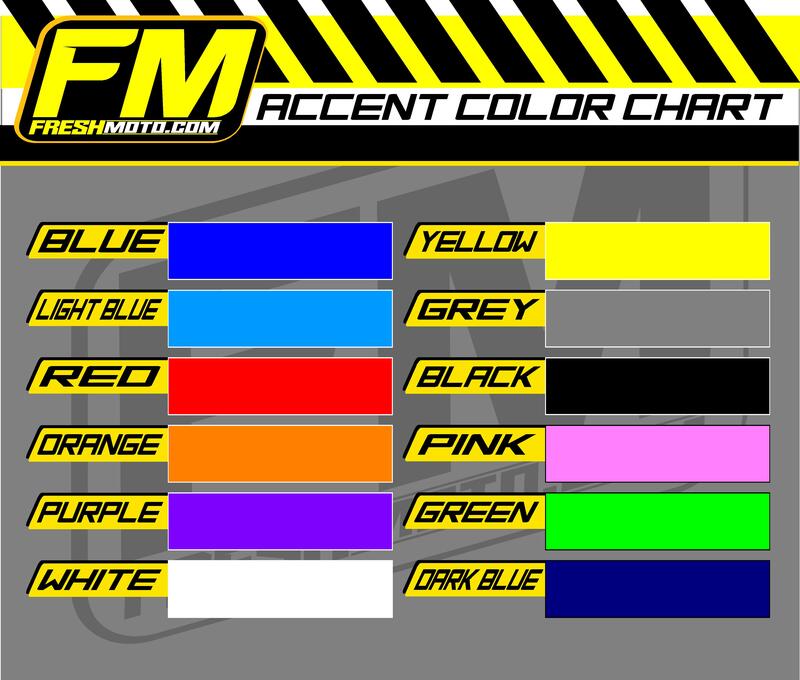 Be the first to review “FM Factory Edition Kit” Click here to cancel reply.